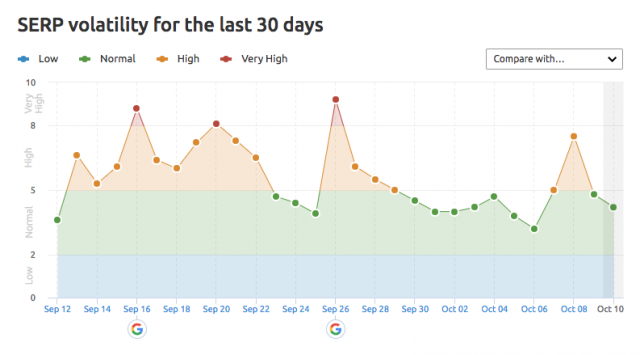 Google Mobile Ranking Search Update? Home > Google News > Google Updates > Google Mobile Ranking Search Update, Mobile First Index Related? Google may have stepped up their mobile first index tests. A lot of folks are not just continuing with their chatter on the Google Columbus update but also now we are seeing specific ranking changes in Google mobile results. It is hard to tell if the chatter is specific to mobile or desktop or both. But when you look at the tracking tools, a lot of them are showing huge swings specific to the mobile Google search results starting yesterday. So many of these tools that track specific mobile changes show those significant changes on the mobile front. Some show the changes a few days earlier, some show them as of yesterday. Either way, chatter is pretty high in the industry since the weekend. Maybe Google is testing that mobile first index tests more these days and when these tools are crawling, they may more often be seeing these tests?